Of course, missing teeth affect your appearance and your self-esteem. This can make you less willing to meet new people, deliver a presentation, or smile and laugh frequently. What other problems can tooth loss cause? It is crucial to treat tooth loss quickly. 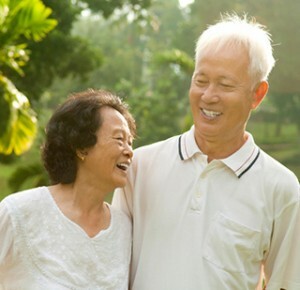 Dr. Bare provides his patients with traditional dentures and implant supported dentures so that they can enjoy a complete and healthy smile again. Traditional dentures are held in place by a flesh-colored base which forms a seal with the gums. Attached to the base are the plastic or porcelain replacement teeth. We provide attractive traditional dentures that will enhance your appearance and give you confidence. After getting accustomed to your traditional dentures, speaking and eating should be as easy as it was before you were missing teeth. Implant supported dentures are always a realistic and reliable tooth replacement solution. These dentures are anchored to dental implants, which are replacement tooth roots that are inserted surgically beneath the gums. The implants will stimulate your jawbone to prevent the weakening or boneloss. You won’t have to worry about your dentures sliding out of place at the wrong time with implant supported dentures. These beautiful replacement teeth can quickly make your life easier and more comfortable. You should be able to talk and smile with confidence and eat all of your favorite foods with ease. Call us today to set up an appointment with Dr. Bare to discuss your denture options.